The NordicTrack SpaceSaver SE9i Elliptical comes with vertical space saver design, which takes minimal time to assemble. It has an adjustable pedal that forms an excellent grip a comfortable workout. It supports 24 levels of digital resistance, making it suitable for all kind of users. For an more intense workout, to burn more calories this elliptical can be incline maximum upto 10 degree and get benefited. Monitor your workout progress on its large 7" Web Enabled Color Touchscreen and stay motivated. Besides it also has many other features like heart rate monitor, transort wheels, upper body grips, water bottle holder etc. Frame- Lifetime, Parts- 3 year and labour- 1 year. *Note: Most of the sites, stores or shopping portals listed above sell NordicTrack SpaceSaver SE9i Elliptical with discounts and other exciting offers. There is a possibility that the some of above websites are not selling NordicTrack SpaceSaver SE9i Elliptical now. Toughtrain.com is not liable for such cases or instances. 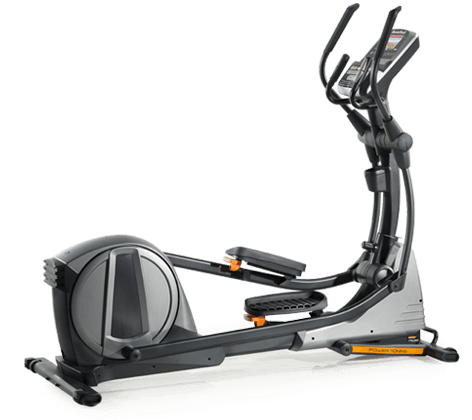 Also we do not recommend any seller for NordicTrack SpaceSaver SE9i Elliptical and a buyer should buy from where he/she gets best deal with quality of products, service and on time delivery (shipment).